Reports said the area had been cordoned off. Three jawans were reported to have been injured and search operation was on. The area was cordoned off. 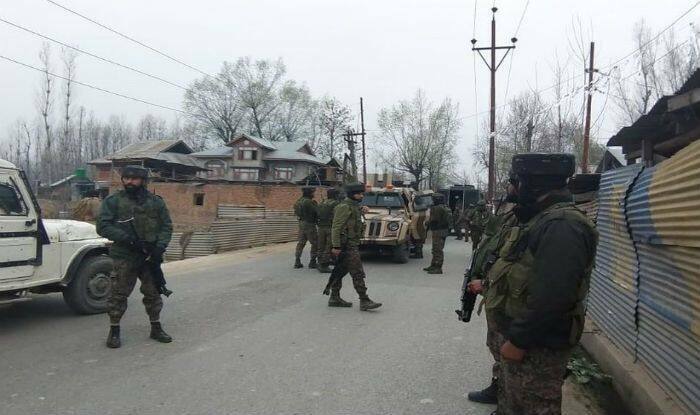 Pulwama: Four terrorists have been killed in the early morning exchange of fire between terrorists and a joint team of forces at Lassipora area of Pulwama district in South Kashmir. Reports also said three jawans have been injured. A search operation was on. The slain terrorists are believed to have been members of Lashkar-e-Taiba, though their identities are yet to be ascertained. The forces are reported to have recovered two AK rifles, an SLR and a pistol from the site. The area has been cordoned off, said ANI. Last week, two terrorists were killed in an encounter with the security forces on Friday in Budgam district. Five Army jawans were injured in the firing that broke out during the early hours in Sutsu village. Defence Ministry spokesman Colonel Rajesh Kalia said terrorists were killed in an encounter in Nowgam, on the outskirts of Srinagar city. Zee News quoted sources as saying that the terrorists were affiliated with Masood Azhar-led Jaish-e-Mohammed (JeM). An M4 rifle and an AK47 were recovered from the site of encounter. M4 is a weapon used to target forces from long distance and is mostly found in the Sataa area of Pakistan.